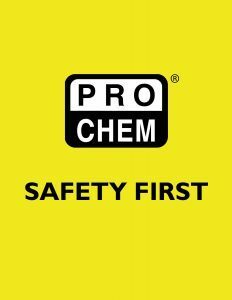 HARD HAT YELLOW/WHITE 6 POINT RATCHET | Pro Chem, Inc. This HARD HAT is comfortable while it keeps you safe. Its rigid shell deflects blows to the head. It has been tested safe to withstand up to 22,000 volts of electricity. The 6-point ratcheting suspension system and rear padding provides the ultimate in comfort. The hat has a replaceable sweatband made of polyurethane foam and padded fabric. Clean with mild soap and water. Store in a clean, dry place that is out of direct sunlight. Maximum service life of 5 years (shell) & 1 year (suspension) from the time of first use. Never alter or modify the shell or suspension system. Replace after it receives considerable impact. 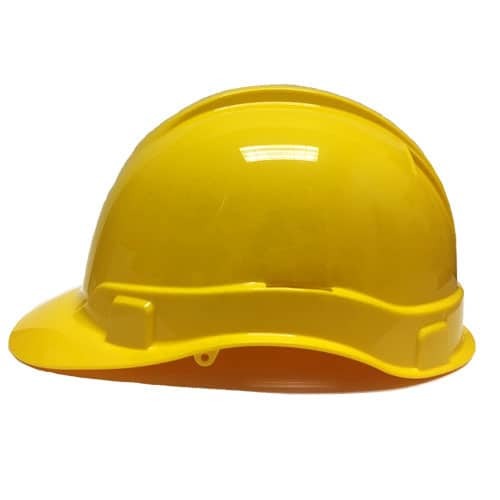 Do not use paints, chemicals, adhesives, gasoline or similar substances on the hard hat. Labels are acceptable if they do not affect a hard hat’s rating or make it difficult to find damage.